We want people to participate, to feel included and confident in our government. That starts by changing the way we view participating in our democracy from a process that occurs every couple of years when we cast our votes, to supporting and contributing to organizations that support local communities year-round. By shifting our collective consciousness to working on local issues that impact our hometowns, we will build long term change that will facilitate representation at all levels of our government that is reflective of the diversity that is America. I had the pleasure to interview Tory Gavito. Born and raised in Texas, Tory Gavito has a unique perspective on the progressive potential for the south, and other key battleground states. 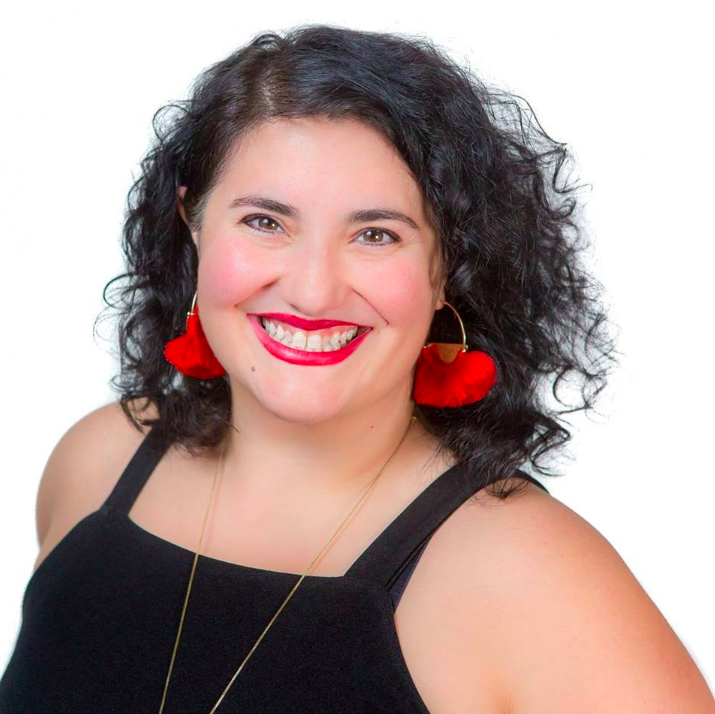 Tory is an activist, human rights attorney, political strategist, movement builder and advocate for the civic engagement of Latinx and women in the United States. She is the President and co-founder of Way To Win. My grandmother, who migrated to Texas from Mexico in the 1940s, was always the one who greeted me at the door when I walked home from school. My mom’s successful corporate career took me and Nana from Texas to New York and D.C. and back home to Texas again. But no matter where we lived, Nana would be home after school and we would quickly commence our regular afternoon ritual of playing poker while watching Oprah. I learned from my grandmother’s poker strategy, my mother’s tenacity, and, yes, Oprah’s wisdom, that the only thing worse than taking a big risk and falling short was never trying. That’s part of the ethos behind my organization Way to Win, a funding community that is an integral player in reclaiming our political landscape and electoral institutions to reflect the diversity of America. Our mission at Way To Win is to provide new avenues for people to participate in our democracy more fully. In order to change policy frameworks we have to focus on changing power — who has access to it, how it’s funded and acquired, and to whom those in power are accountable. Way to Win exists to transform dated and risk averse political giving not only in the South and Southwest where there is boundless opportunity to engage new people, but anywhere where communities have been ignored for too long, and can create change if they demand it at the ballot box and halls of power. There is a vicious cycle in establishment liberal politics that falls this pattern — Latinx, young people, and people of color don’t vote, so they are not worth investing in asking them to vote, so then they don’t vote, so then we don’t invest in asking them to vote. See the pattern? This is how you end up with a state like Texas, trending purpler by each election cycle going from about 800,000 votes down in 2016 to 200,000 votes down in 2018, with over 6 million potential progressive voters sitting on the sidelines, and yet the establishment still can’t see the opportunity because the path lies in swinging nonvoters into voters, and that’s just not how things typically get done. A key to unlocking nonvoters is to support community groups doing year round work within their local communities. For example, Way To Win was an early supporter forBlack Voters Matter and New Florida Majority, whose work enabled people to typically ignored by the establishment to participate in this election cycle more fully. Way To Win was an early supporter of Amendment 4 in Florida, which gave voting rights back to 1.4 million floridians, as well as supported important progressive ballot measures in Missouri, Michigan, and Maryland on issues ranging from minimum wage increases, to automatic voter registration, and gerrymandering reform. The women of my family were my northstars. The Garza girls, and that is how they are known by in-laws and exes alike, are among the most ambitious, tenacious, tough as nails women you’d ever know. Imagine the drive needed to take a life that started in cotton fields to the courtroom. My mom, Letty, left her corporate career at 50, went to law school, and has now practiced law for 20 years. And her sisters are no wallflowers. My Tia (aunt) Gloria has a doctorate in romance languages, speaks over 8 of them, and has developed the highest level advanced placement curriculum for Spanish and French highschool students across the country. And my Tia Hilda, while she and I do not see eye to eye on politics, was elected to chair of the school board in her community and ran for the Texas House of Representatives, after serving her community as an educator for years. All three of them, Letty, Gloria and Hilda raised me to be ready to push boundaries in my career and on the world stage and by serving my community locally. Trust. Your. Gut. There is a reason you are where you are. You have good instincts, you work hard. So when you have a gut feeling about something express it, act on it, don’t dismiss it even if eventually by taking in new data points and others perspectives you evolve your thinking. After spending years at the epicenter of progressive influence and money, I knew our giving process was broken, and that something had to change. Luckily, I knew two women who shared my vision, Leah Hunt-Hendrix and Jenifer Fernandez Ancona, who were tackling existing power structures to build a new, inclusive political vision. In order to win power at the national level we have to build at the local level, by connecting movements for political change and progressive elected leadership across the country. In the years to come These midterms clearly demonstrated that reflective democracy wins, with more than 100 women going to the house of representative for the first time in history. This momentum will only continue to grow in the years to come. As we look ahead to 2019 and 2020 our goal is to continue to empower community organization efforts at the local level, train new congressional staffers, build out a multi-year voters rights strategy, and continue to expand progressive electorate presence. Do you have a book/podcast/talk that’s had a deep impact on your thinking? Can you share a story with us? As a political operative in Texas, we spend a lot of time driving across our big state to connect with fellow Texans, Beto’s not the only one who loves a good Texas road trip. So podcasts are totally my jam. Three of my favorite podcasts for political edification are The Beginning of Now on this American Life, explores the role of how a few people with a strategy and some resources can reshape American politics, lessons we bring to Way to Win. The second is Politically Reactive with Kamau Bell and Hari Kondabolu, their episode with my friend and colleague Jessica Byrd, a political strategist, is on fire and speaks the truth about the trials and tribulations of being a woman of color in politics today. And you can check me out with my southern strategy cohort LaTosha Brown and Aimee Allison on Democracy in Color. “It always seems impossible until it’s done.” Nelson Mandela. I love the idea that the vastness of the human spirit and imagination really knows no limits. That nothing can or should stop you, especially yourself, if you have a vision and a plan to implement it.